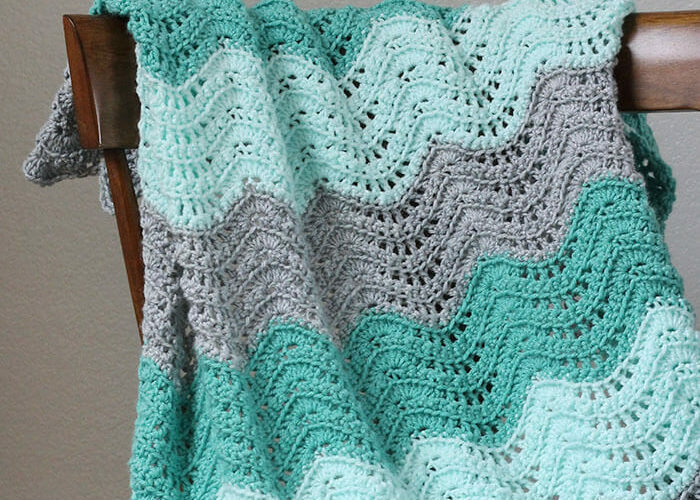 Thanks to American Crafts for sponsoring this post! This post contains affiliate links. 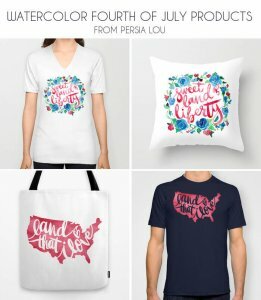 Thanks for supporting Persia Lou! 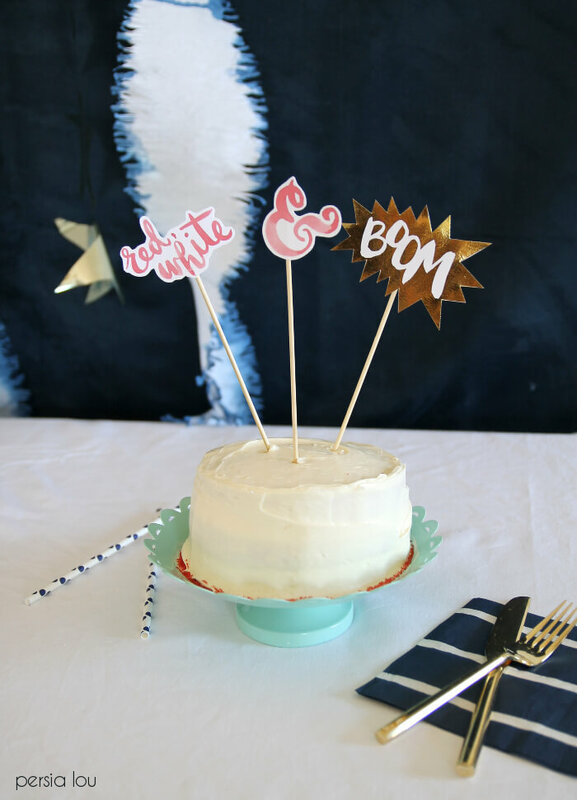 This week I’ve been getting ready for the Fourth of July by putting together a few decorations and party printables for the big day. 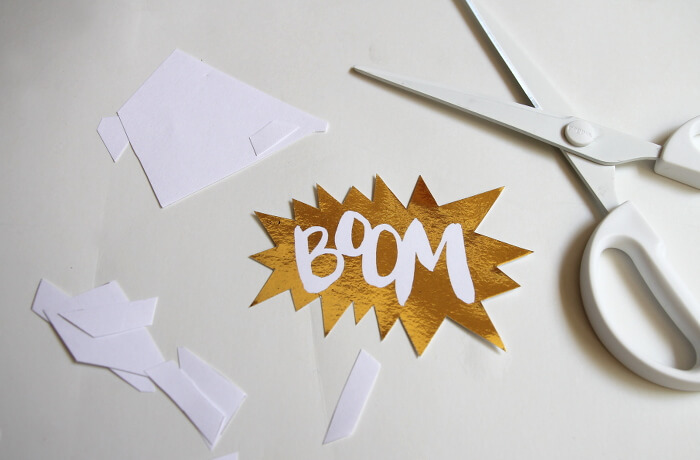 It was the perfect time to bust out my Minc and add a little metallic bling to the decor. 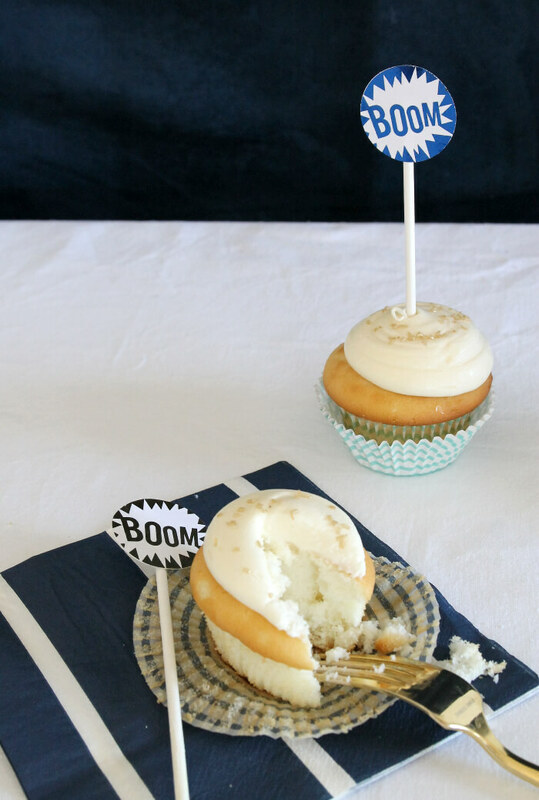 I made a “Minc-able” version of the land that I love design that I used in for my Fourth of July tattoos, and I also made foiled cake and cupcake toppers. And since I’ve always been more of a blue person than a red person, I decided to go with a mainly blue, white, and gold color scheme. I really like the way everything came together. The Heidi Swapp Minc is pretty much my new favorite, and you can pick one up at Hobby Lobby or JoAnn OR you can get a great deal right HERE. 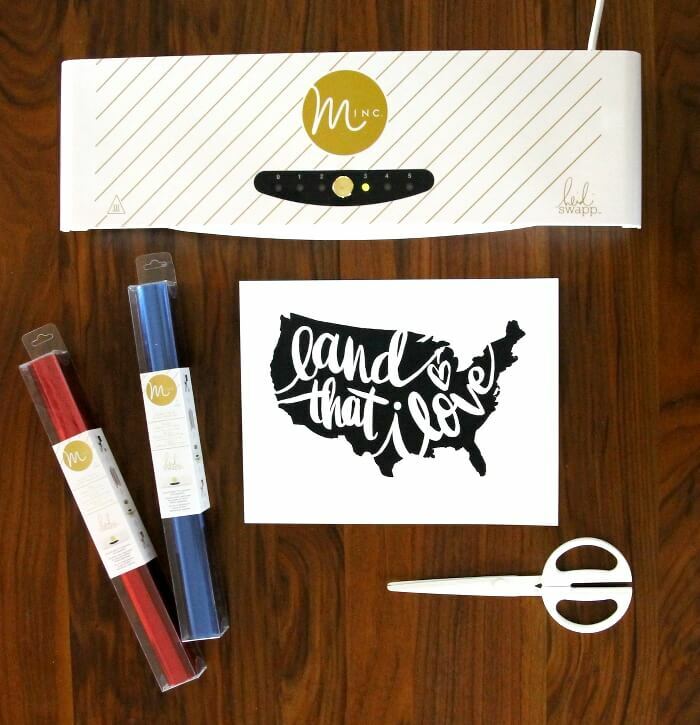 The Minc isn’t the only way to get that awesome foiled look, but unlike other laminators, it is specifically designed for foil application plus it is super easy and convenient. To make the sign start off by printing the outline of the country using the laser printer. (The reactive foil only bonds to toner, so unfortunately, an inkjet printer will not work.) The mincable file has two layers, click on the little eye button by the layer to make it visible or invisible. 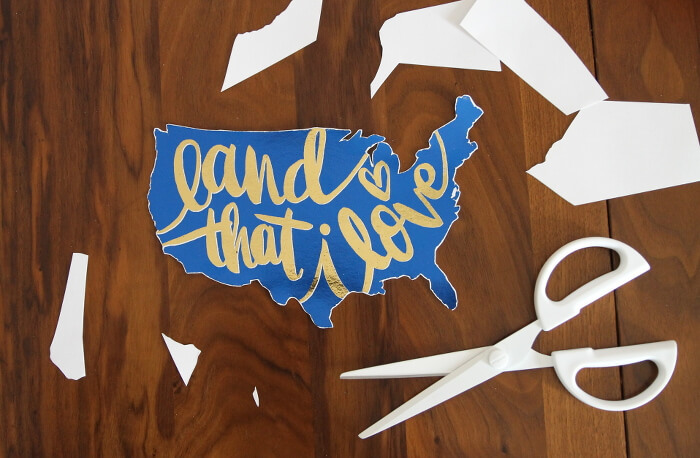 Cut a piece of blue foil using sharp scissors and place it color side up on top of the image in the transfer folder. Run it through the Minc on the level 3 heat setting. Making sure the paper is put back into the printer facing the right direction, print the lettering layer and run it through the Minc with gold foil. Aaaaaand, Ta DA! 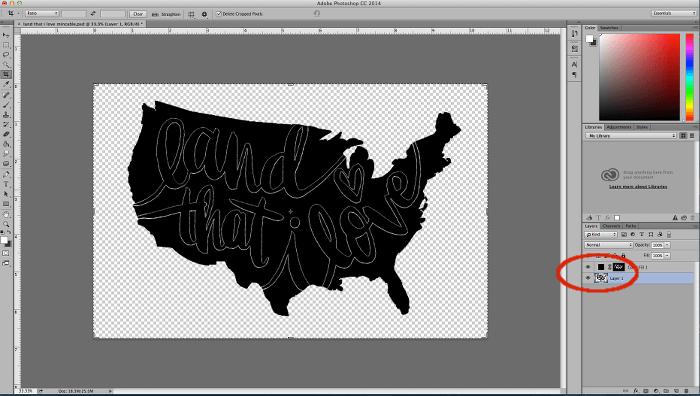 I cut out the map and attached it to an embroidery board I picked up at Target. 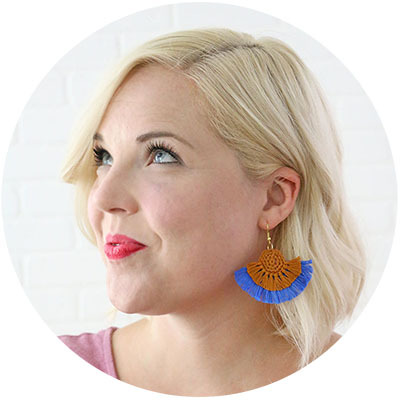 Generally, I am a big fan of making my own designs, but Heidi Swapp is awesome and the Minc accessories pretty much the best. 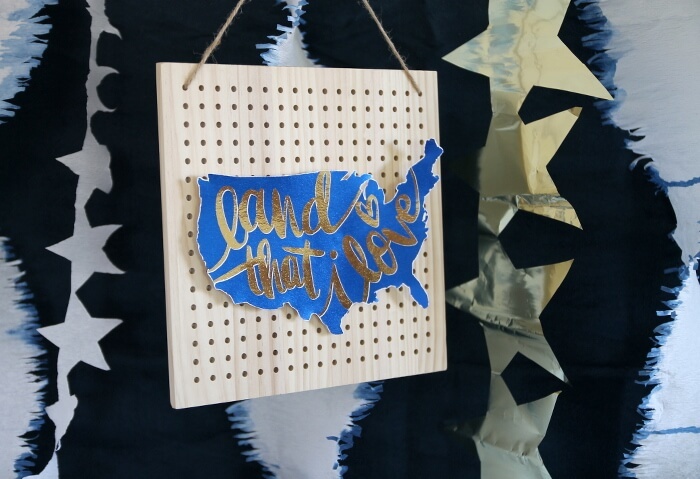 The Minc chipboard shapes include a cute little circle that says BOOM on it, and I thought it was perfect for the Fourth of July. 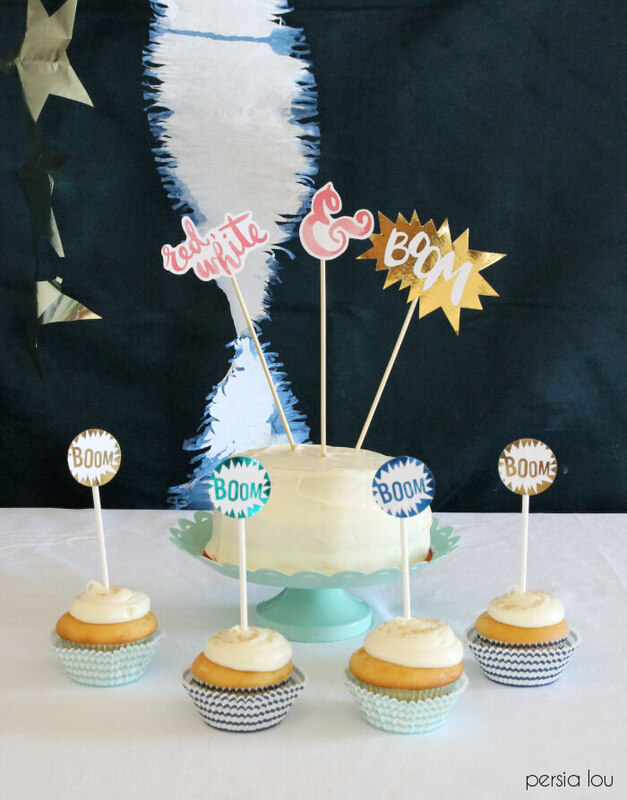 I only had one, so I scanned it into my computer and printed out a bunch as cupcake toppers. 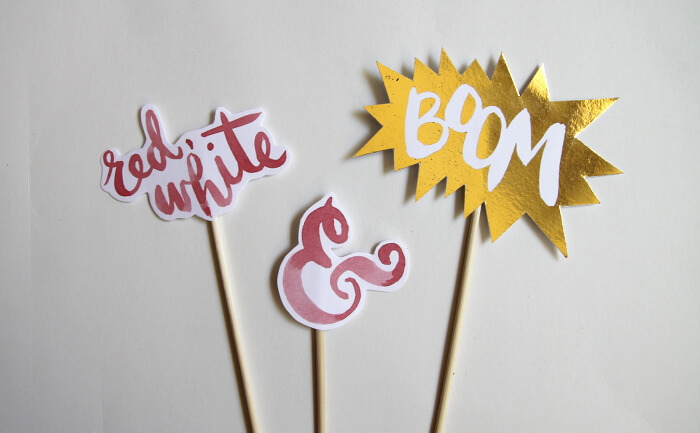 I also did some watercolor red, white, and BOOM toppers that are perfect for a patriotic cake. 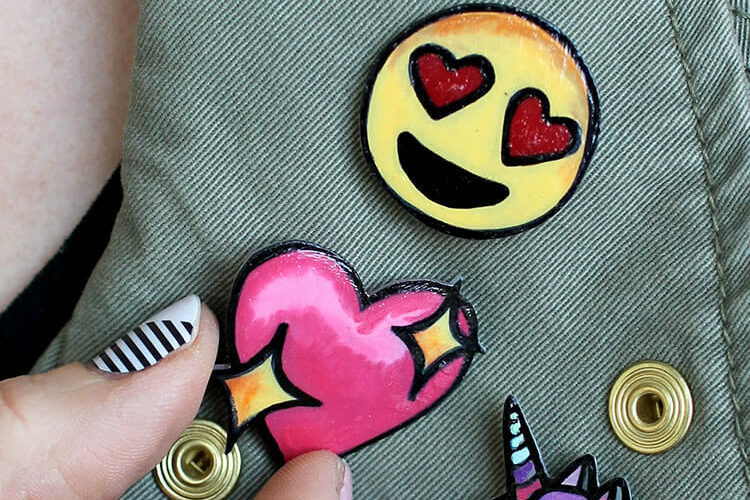 Start by printing off the watercolor toppers and the mincable toppers. 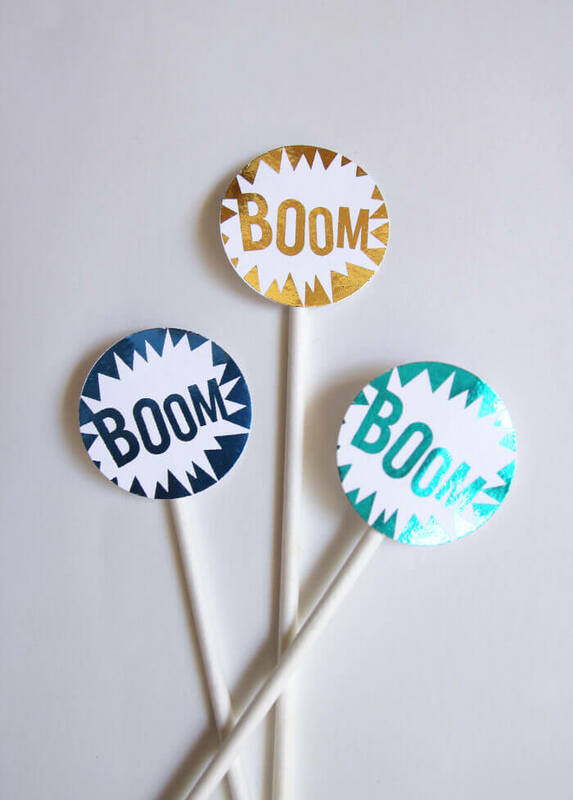 Then run the boom toppers through the MINC to make them all shiny and wonderful. 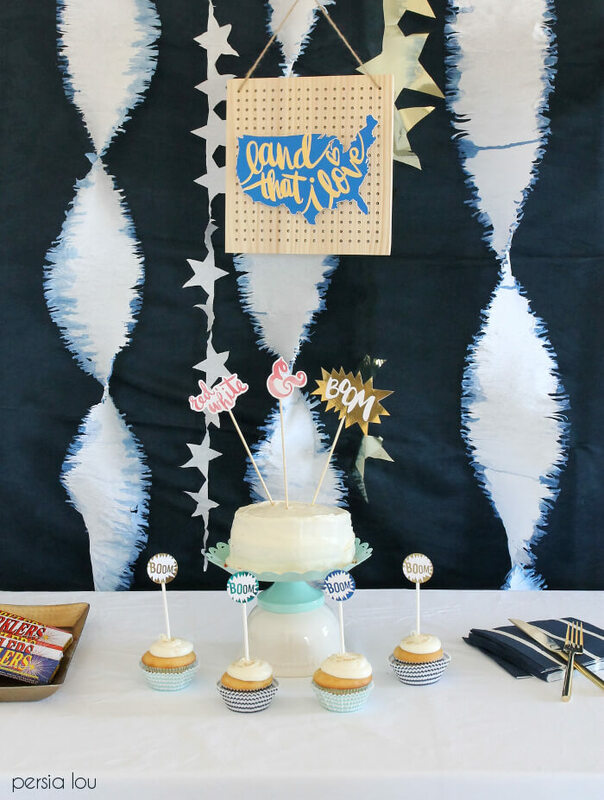 Then just cut them out and tape them onto the bamboo skewers and lollipop sticks! 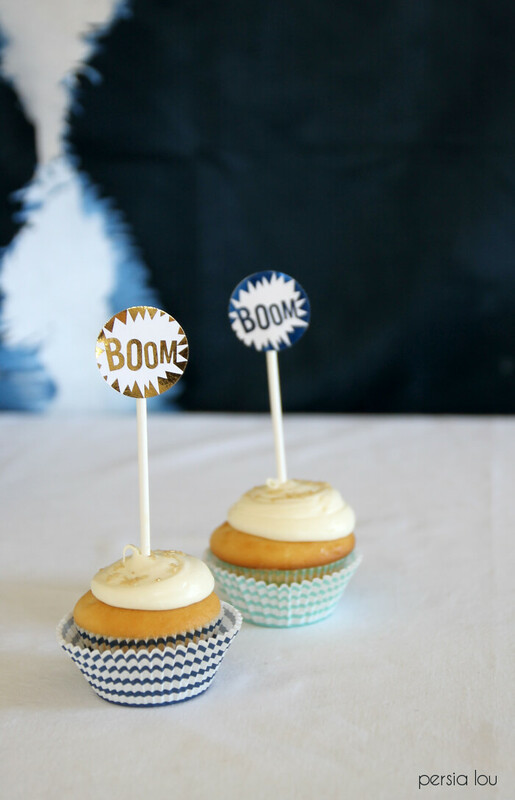 Just stick them in your treats, and you are all ready to party! This is so pretty for the 4th of July! Love the gold details!